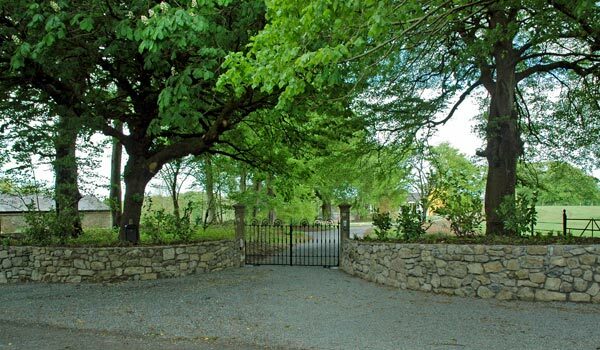 The entrance walls were pushed back and rebuilt by Plan Eden, creating wider access to the gates and selected pre-existing planting was retained to frame the entrance and maintain its mature appearance. Remote control gates and a new cattle grid were also installed. Restored entrance to the rural garden, framed by some of the existing planting. The restored woodland and driveway, enhancing the existing broad-leaf trees. 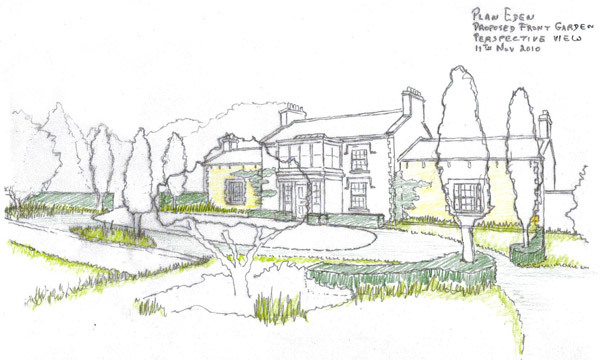 As an element of the landscape restoration, Plan Eden also re-designed the garden to the front of the residence. Here a combination of clipped box planting, trees (for height and as a visual link) and drifts of ornamental grasses were used to merge with the wider landscape. Herbaceous plants and grasses also furnish the generous entertainment spaces arround the house, re-enforcing the link between house, garden and the surrounding landscape. Mature trees were also retained and refurbished to enhance that link. Another major element of the restoration of this country garden was the restoration of the Ha-Ha, which had become completely over-grown. The Ha-Ha before restoration, buried beneath the over-grown plant life. The restoration works to the Ha-Ha involved clearing some fifty large Leyland Cypress trees and stumps which had been undermining the Ha-Ha. Large portions of the stonework was dismantled and rebuilt, and the massive clearance of conifers also restored this magnificent Beech as a focal point of the landscape. 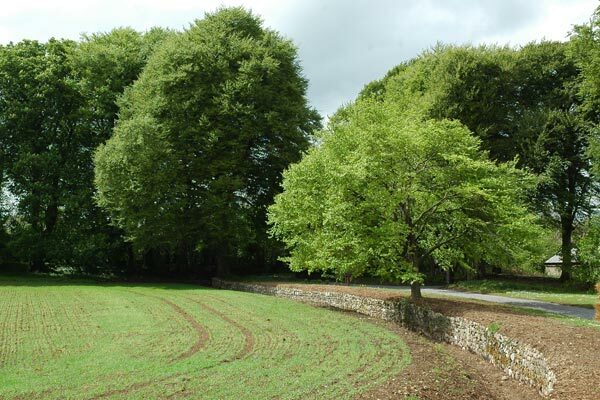 The restored Ha-Ha and mature Beech tree which acts as a focal point in the landscape.